Fabiana is a Certified Money Coach (CMC)® and Trainer/Facilitator for the Money Coaching Institute in Brazil. She’s a founder & managing partner at MoneyMind (moneymind.com.br), based in Brazil, that was created to inspire people to transform and cultivate a healthy and conscious relationship to money. She graduated from law school and worked with taxes and business, helping her clients with finances. She’s the first Brazilian woman trained by the Money Coaching Institute and, through her coaching practice at MoneyMind, she works with individuals, couples and group, applying the Money Coaching core process and the Money Therapy workshop in Brazil. 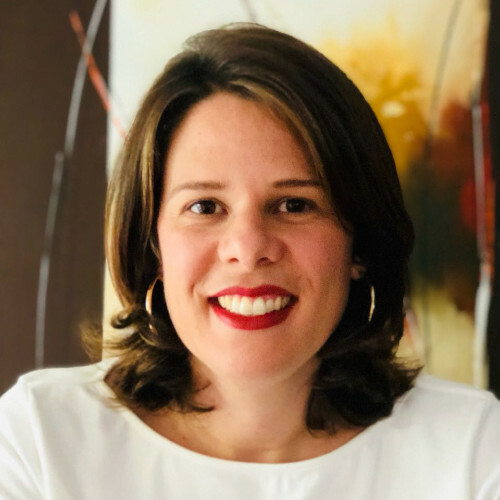 Fabiana’s life purpose is about working with women and couples to create financial intimacy and language for their children around money and to help reduce personal and financial suffering in the world. Fabiana is a Certified Money Coach (CMC)® and Trainer/Facilitator for the Money Coaching Institute in Brazil.